No matter your market the GoTx Series inks, fabric feeding and advanced print heads will make production “easy” and all at a very affordable price. 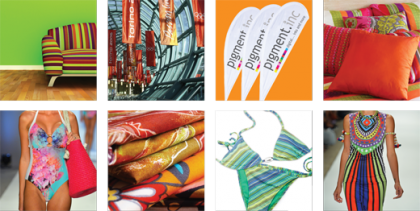 The GoTx® textile printer series was designed for uninterrupted mass decoration to a variety of textiles with either pigment ink, reactive or sublimation dyes. It prints direct to static and 2 way stretch fabric. Our media feeding system is a patented process that delivers minimal fabric shift and feed accuracy across the roll without the need of sticky blanket systems. 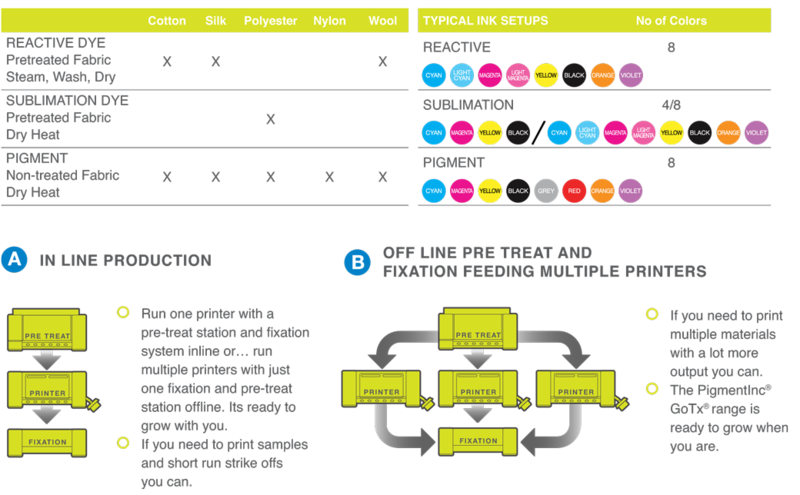 Moreover, The GoTx® system is available with inline horizontal fixation equipment and an optional offline pre-treat station to complete any process requirement. The GoTx® printers are available in widths 1.9 and 2.6 meters and are powered by dual staggered latest generation Epson DX7 print heads, with drop sizes from 4.5 to 45 pcl and typical production speed from 32 – 95sqm/h. Configurations available are either dual CMYK for higher speed production or for an increased colour gamut range with 8 colours by adding for example – red, orange, violet and green. The GoTx® is flexible in that one machine can run a multiple range of inks – Reactive, Pigment and Sublimation ink sets which have all passed internal certification testing for print head reliability and jet performance.